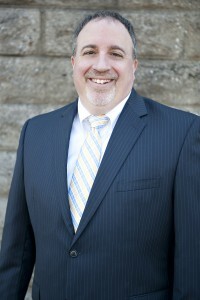 Anthony began his career in 1993, when he became a member of the recruiting staff at Pittsburgh Business Consulting (PBC). In 1997, after 3 and one-half years of successful recruiting at PBC, Anthony went on to assume the challenges of recruiting top talents from around the world for the dynamic technology firm known as FORE Systems. Within the 2 and one-half years he spent at FORE, Anthony succeeded in hiring over 200 professionals in Sales, Marketing, Technical Support, Information Technology (IT), and Professional Services. In January of 2000, Anthony moved on to pursue a new endeavor; he joined his colleague, Scott, at CoManage Corporation to help drive the company’s growth. By the end of one year, Anthony had succeeded in growing the firm from 45 to 160 professionals. All the while, as Anthony was assisting in the rapid expansion of CoManage’s professional staff, he was establishing the foundation of the firms on-going recruitment strategy by educating the managers on hiring techniques. This undertaking culminated in the implementation of a prevailing and forward-looking recruitment process. With all of this valuable experience in hand, Anthony chose to collaborate with his long-time business associate, Scott Ventura in establishing B & V Staffing, Inc., the modern and innovative recruiting firm recently founded here in Pittsburgh, Pennsylvania. Scott started his recruiting career in a similar fashion in 1989 at Pittsburgh Business Consulting (PBC), a major IT consulting firm, located in Pittsburgh, Pennsylvania. During his 7 years at PBC, his success in recruiting led to his promotion to VP of Recruiting for the firm. In February of 1996, Scott chose to pursue new challenges and began recruiting for a young but aggressive technology firm known as FORE Systems. In an endeavor to grow this ATM Networking Company, Scott brought on board well over 100 talented engineers from around the country. 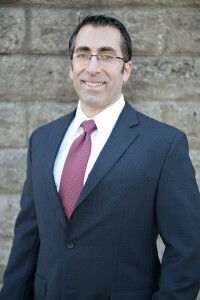 In August of 1999, after 3 years at FORE, Scott moved on and became the sole recruiter for CoManage Corporation, a start-up firm focused on network management technologies. During his 2 years at CoManage, not only did he hire top talents, but Scott also developed the strategy for the firms on-going hiring and then implemented a state-of-the-art recruitment process. In June of 2001, Scott began at Timesys, another Pittsburgh start-up specializing in Real Time Open Source Systems. At Timesys, his successes included the hiring of 25 engineering and sales referrals during a 7 month time period while again instilling a recruiting process to improve the organization’s efficiency. All of this experience serves as the precursor to Scott’s most recent endeavor in joining with his long-time colleague, Anthony Bucci, in establishing B & V Staffing, Inc., right here within the Pittsburgh business community.